I just came across this info. 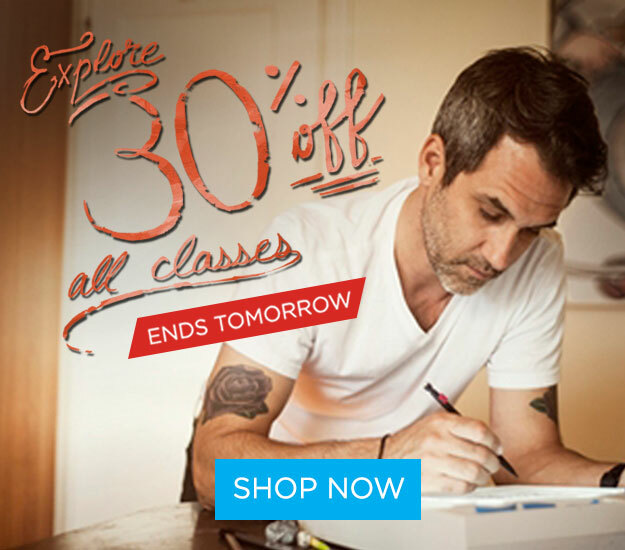 If you have not checked out Creative Live online Learning opportunities here is your chance to stock up on workshops 30 % off. Also, many of the classes can be watched live when they are first launched. Sign up for the email news and you will always be the first to know! Click here to start exploring! Happy Sunday! 26 Jul	This entry was written by annahergert and published on July 26, 2015 at 11:17 am. It’s filed under Moose Jaw Camera Club, Photography, Photography Seminar, Worksho Opportunities and tagged Creative Live online workshops, learning opportunities, Moose Jaw Camera Club, workshops on line. Bookmark the permalink. Follow any comments here with the RSS feed for this post. Newer: Field Trip to Ogema and Pangman, SK a Resounding Success!